We offer a full range of repairs on Apple and personal computers. We repair laptops (notebooks, macbooks, netbooks etc) and provide a full range of laptop services. We serve Lexington, KY and surrounding areas. Fast and affordable repair service for cracked screens, dark screens, broken hinges and more. 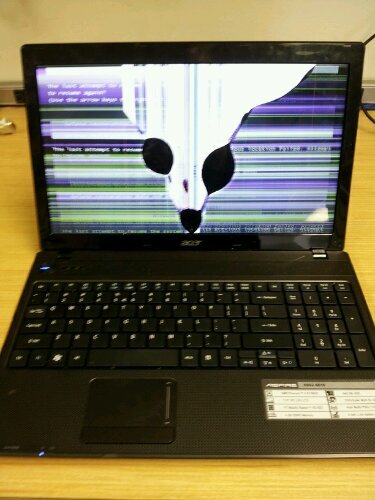 We can repair your damaged laptop quickly and most of the time we can repair laptops to like new condition. There are so many different problems in the world of power problems. Some laptops have replaceable power boards, some have simple power-wire harnesses, and some power jacks are soldered right onto the motherboard. We can get you powered up again. We know how frustrating an infection can be. Don’t live with popups and the fear of your personal data being stolen. We can help restore peace of mind by fully removing any and all malicious software from your laptop. Looking to upgrade your laptop? Many independent shops lack expertise and the big box stores just want to want to sell you stuff, whether you need it or not. We service a wide variety of upgrade parts, including RAM / Memory, hard drives, and even solid state drives (SSDs). Don’t pay high prices at some repair shop, or struggle with do-it-yourself internet guides that instruct you to remove 65 different micro screws on your kitchen table. Speak with one of our technicians about upgrading your laptop today!